Lead me from the untruth to the truth. Today, I practiced opening my shoulders to release the tension I was holding. 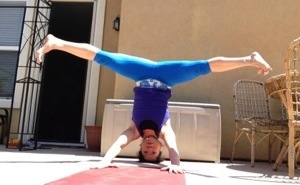 In my practice, it let me to Mutka Hasta Sirsasana B. Make sure you’ve nailed Salamba Sirsasana first before attempting it. 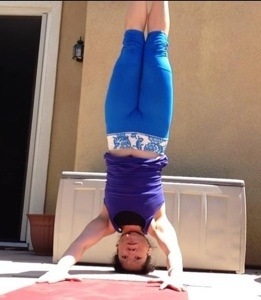 Mutka means “Free” and Hasta means “Hands” headstand. Press knuckles in the earth, drawing shoulders away from ears. Find dristi. Breathe. Activate feet. Slowly lift legs and press toe mounds in the sky. Release to child’s pose. Be sure that you press hands into the earth to take the pressure away from the neck. ← Why cold in Yin?